All Arrowmen should be committed to camping promotion. This is one of the Order’s most important commitments to Scouting. To reach the objectives of Scouting—to train Scouts to become responsible citizens who are physically strong, mentally awake, and morally straight—it is essential that Scouts go camping with their troops. Over the years, camping has kept Scouts interested in Scouting. Every Order of the Arrow lodge has the responsibility to do a good job of promoting Scout camping. Arrowmen can do camping promotion individually in their unit or by becoming a member of the lodge’s camping promotion committee. Arrowmen should be the number one camping promotion people in the troop. They should set the example for fellow Scouts by being the first to sign up for camp. They lead the way in planning for year-round camping events. They talk camping on a person-to-person level with all Scouts. Arrowmen are enthusiastic about camping and never miss an opportunity to encourage Scouts to enjoy the great outdoors. They are prepared to talk to parents of young men in their unit about the values of camping for their sons. 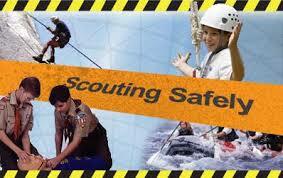 They assist the unit leader in planning and carrying out camping and high-adventure activities. As an example to younger Scouts, lodge members should advance toward Eagle rank and become especially skilled in camping techniques. An Arrowman’s first duty is to his unit. We must always keep in mind that a primary role of the Order of the Arrow is to strengthen units and help units to succeed, particularly in the outdoor phase of their program. The lodge must work closely with district and council camping committees in carrying out the council camping promotion plans. The lodge adviser and lodge chief are members of the council camping, and chapter advisers and their chiefs become members of their respective district committees. 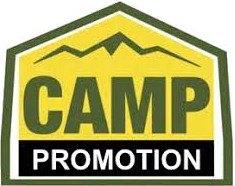 The camping committee is responsible for camping promotion. It is not the role of the Order of the Arrow to assume total responsibility for camping promotion, but rather to give full support to the entire council and district camping program. This includes monthly unit camping as well as resident camp. Arrowmen may be called upon to visit units and tell the camping story on a youth-to-youth level. It is the duty of each lodge to arrange for an annual Order of the Arrow election for new members in every eligible troop. Elections present an excellent opportunity to promote camping when an OA member takes the floor to explain the Order of the Arrow program to Scouts and leaders. Teams of Arrowmen may also visit packs, troops to show them color slides or videos on camping, talk at parents’ night meetings, roundtables, and help provide special unit-level camping programs. They can be a resource of experience and leadership available to assist new or troubled units, providing expertise that may be in short supply in the unit, be it at a meeting, on a weekend outing, or at resident camp. Discussion with unit leaders and committee members about their responsibilities for camping should be left in the hands of council and district camping committees. The Lodge Executive Committee agreed to help the camping committee by providing a camp promotions video. The lodge is currently working on a ‘Where to Go Camping’ website with a listing of nearby places to camp and hike for packs, troops and crews. Units with this information have a tool that enables them to do more year-round camping.